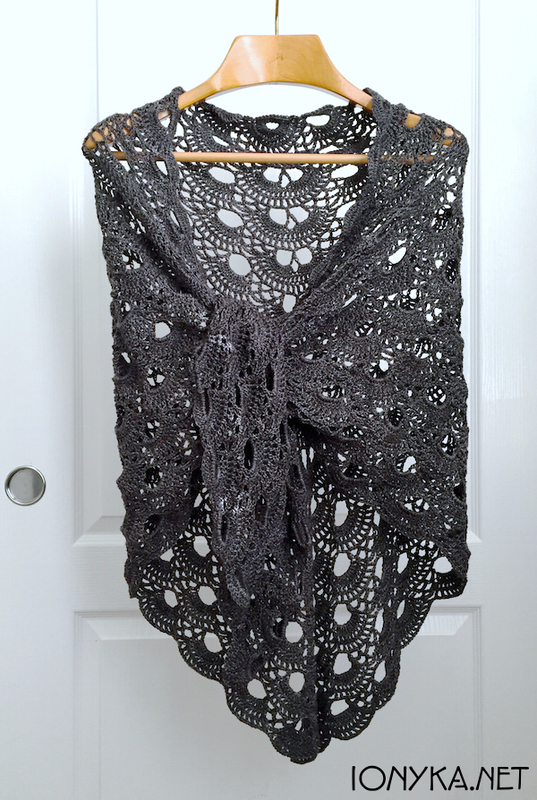 I have received so many compliments and Likes on my first Scalloped Shawl that I knew I had to do another at some point! This time it was a request from my Mom that lead me back to this fantastic pattern. She wanted a black shawl with gold accents that she could wear with nice outfits during the cool months. I spent the better part of 2-3 months causally looking around this past summer for yarn that would work well for this project.